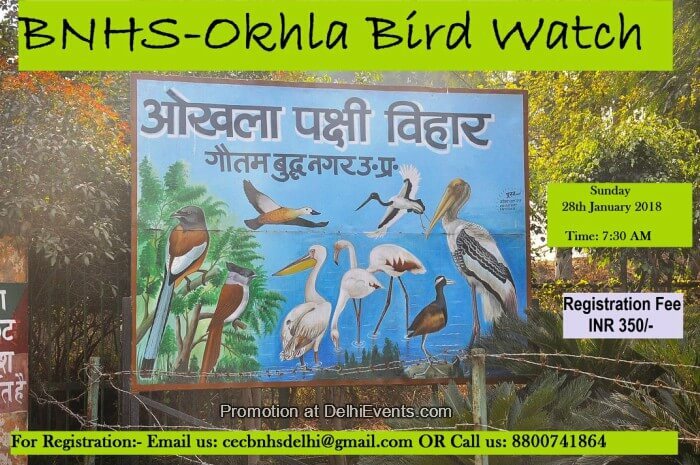 Event Description : WALK : BNHS, CEC-Delhi presents "Birding Trip". Okhla Bird Sanctuary, situated in Gautam Budh Nagar is a seasonal home to several migratory birds. The flocking of both resident and migratory birds around the lake. During winters place attracts a lot of interested nature lovers across India. The activities planned for the day includes, bird identification and bird watching.